The club was formed over 30 years ago and flies in the Wealden area. The flying sites are local for Crowborough, Uckfield, Heathfield, Tunbridge Wells, and now Polegate and Lewes residents so get in touch – all local and further afield are welcome! We hold meetings on the 1st Tuesday of the month at 8pm. In the Summer (May-Sept) we move these meetings to the flying fields so that we can enjoy the great weather at 7pm! All winter meetings are held at the Five Ash Down Village Hall and we usually arrange activities and speakers and encourage all to bring their models to show to other members. 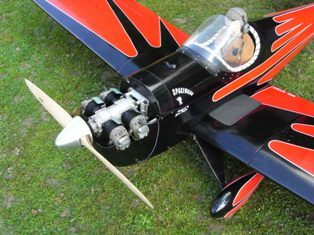 We fly fixed wing radio controlled model aircraft – (aeroplanes and helicopters) at our flying sites.